how big is the internal memory for this phone? Plz tell me!!!!!!! Dont be stupid! BENQ S700 is no match for SE S700! juz now read thru the newspaper again n it sae tt s700 will be launched in the 4th season tis yr in asia....probably tis applies the same to sg! When i saw it, i totally fell in love with it!!!! Looks KILL! juz now read the newspaper n i found it tt it will be availbable in sg!! but i duno da date or rather year?! well this is good i am using N6600 its a good phone the only thing was missing in my mobile was FM Radio but now i got headset which work with the batt. of phone and radio is in headset. 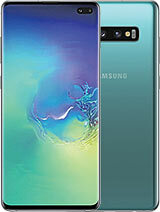 The phone will hit the market very soon, sice there are a lot of pictures and reviews on the web. Also, Sony Ericsson has put the phone on every localized page I've seen yet and it has been announced half a year ago. It's already out in China, just came back from Hong Kong,but the language input is chinese. Anyone know when is it coming out and how much it cost? after comparings with many mobiles .i think s700 is the best this year. If the model of s700 will be change like t630 it's will be better.